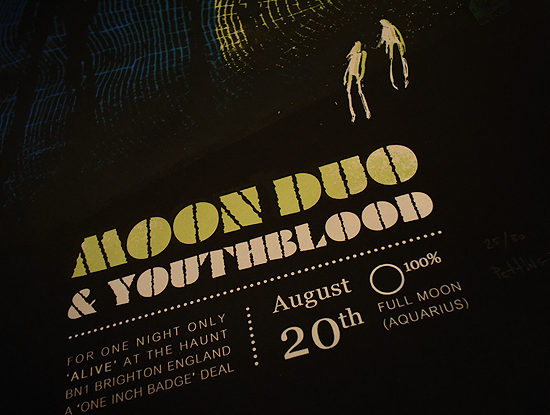 Moon Duo, The Haunt, Brighton – Screenprint, 3colours including metallic blend – A2, from an edition of just 30! 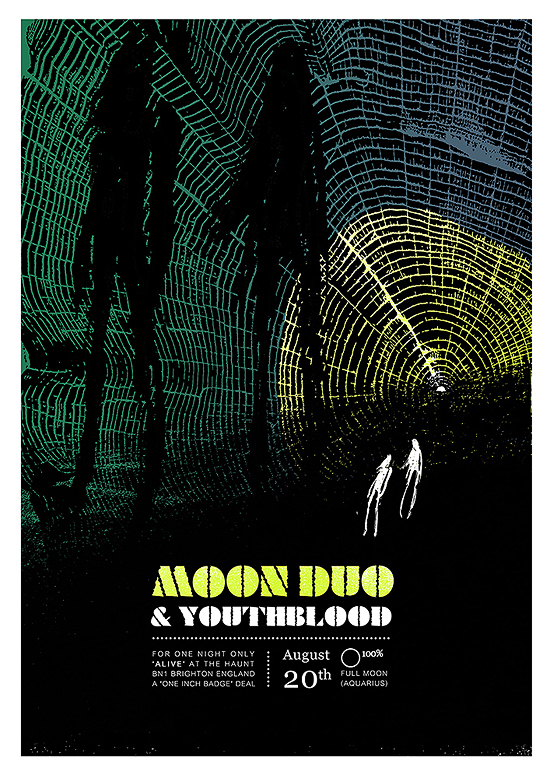 This entry was posted in Gigposters, Screenprints and tagged affordable art, art, Brighton, gig, gigposter, limited edition, moon duo, Petting Zoo Prints & Collectables, poster, psychedelic, rock n roll, screenprint, serigraph, the haunt, youthblood. Bookmark the permalink. Hey Simon, we’ll email you straight away, thanks for getting in touch.